Individuals who are selling their used cars need to pay attention to many aspects of the sale to get the best price and help ensure the transaction goes smoothly. When you are preparing to sell your car, follow a checklist to make sure you do not forget anything. Buyers like to see what service you have had performed on the car. If you bought the car used and have the records from the previous owner, including these can show it was cared for well before you owned it, too. If any of the car parts are still under warranty, providing the documentation could save the buyer money if the parts fail. If you still owe money on the car, the lender will not release the title to a new owner. If you can afford to pay off the loan immediately, you should do that to obtain a lien release. Other options are to conduct the sale at the bank or credit union to pay off the loan and receive the title immediately or at the Department of Motor Vehicles to provide the buyer with a temporary operating permit based on the bill of sale. The car is more likely to appeal to buyers if it is clean, so you should either clean the interior and exterior and wax the car yourself or pay a detailing service to do this for you. 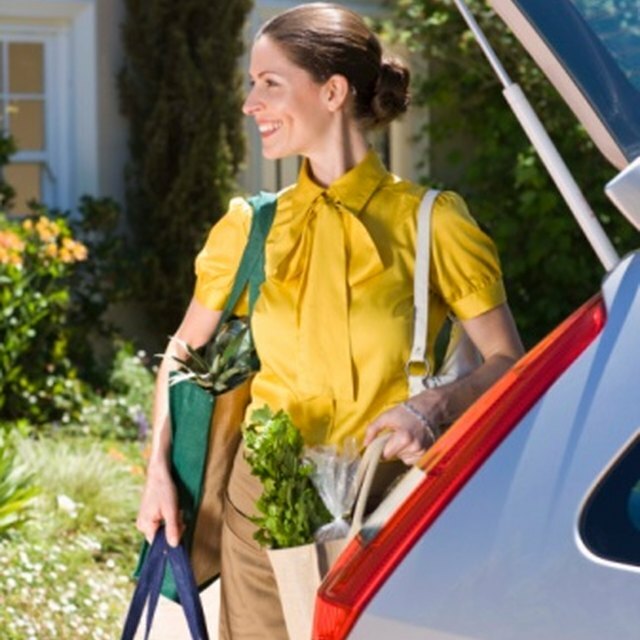 Remove items from the trunk or back seat so potential customers can see how roomy they are. If your state requires vehicles to have a smog check or general operating check prior to a sale, get these completed and obtain the proper certificates. You also might want to get an oil change, check the tire pressure and fix any minor problems so the car is in top condition. Research pricing for a vehicle of your make, model, year, condition and mileage on one of the many websites that specializes in pricing used cars. Your mechanic also might be able to advise you on pricing. Places to advertise your vehicle include newspapers, online classifieds, used car listing websites and the old-fashioned sign in the car window. All advertisements should contain basic information about the car and a way for potential buyers to contact you. Negotiate with potential buyers to agree on a sale price for the vehicle. Payment in cash is typically the best way to ensure that you are not being scammed, although a cashier’s check from a local bank is another relatively safe option. When in doubt, conduct the transaction at a bank to verify the authenticity of payment.